I first developed an interest in real estate in my late teens by observing my mother who was a very successful realtor in the Sacramento area. Although my mother worked very hard for her clients and often at non-business hours, I still liked the fact that she was able to be available for the many activities of our family. After graduating from college with a BS in Business and a Concentration in Real Estate and Land Use, I decided to give residential real estate sales a try. Like my mother, I have enjoyed my real estate career over the years by helping many clients realize their dream of home ownership and the flexibility it offers my family. In a business built on personal relationships, I am committed to continually increase my professional knowledge in order to provide my clients with invaluable information and assistance towards one of their most valuable investments they will ever make, their home. Qualifications: Licensed Real Estate Agent for over 25 years. B.S. in Business Administration, Concentration in Real Estate and Land Use from CSUS. Member of the SAR, CAR, NAR Member of the Sacramento Masters Club Agent Leadership Council Past Member at Keller Williams Fair Oaks Office Resident of the community for over 40 years. Find Your Sacramento Home with Hybrid Brokers Realty At the age of 16, Anthony lived on a park bench every day. He went from that park bench to working from a 11 PM to 7 AM at a local gas station. When his shift was over, he walked almost two hours one way to get to high school late each and every day. This young man went on to get his Real Estate Degree in 1995 and went into lending from 1996-2003. He has been in real estate from 1997-2015. Real estate chose Anthony. While working as a car salesman in West Los Angeles, the wife of the head of a mortgage company called him every day. On February 18,1996 he went to the Golden Bear Mortgage company as a lending officer. He is most proud of his youngest daughter who is in her third year of medical school. He currently donates 30 hours a week to United Cerebral Palsy and he also works with young families to double or triple their current income. 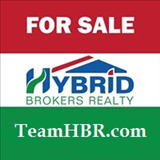 Find Your Sacramento Home with Hybrid Brokers Realty Hi! Your real estate professional here. I was born on the east coast in Detroit Michigan but have been a resident in the sunny state of California since the 80’s. I’m here to help with your real estate needs. From investors to first time home buyers, I use my many years of experience as a realtor and home inspector as well as my CCIM (Certified Commercial Investment Member) training to help you to find just what you are looking for and to avoid making costly mistakes. I have recently received RE/Max Gold’s 100% Award for being dedicated to helping numerous clients achieve their real estate goals in an “Ever-Changing Market” in 2013 and received the Executive Award the following year. I use the knowledge and understanding of the structural aspect of the industry as a tool to protect my clients and advocate for my clients. Since I have recently completed the CCIM classes, I have been working on my portfolio which is my next step in completing my certification. Call me, and let me help. Residential and Commercial Resale Development Off-Market Inventory Hard Money and Creative Financing In-House Conventional Lender and much more... Additionally, here at Hybrid Brokers Realty, we have a solid commitment to our local community and giving back to our home town, through our “Give Where You Live” movement. Part of our profits are committed to this cause because we believe that the best place to give is the place where we work, live, and play. When you work with us, you will be a part of the movement, bettering your home and ours! I am a married mom of 2 college age daughters, have been a realtor since 2005, working in the greater Sacramento area, with an emphasis on the Elk Grove area ,95757 95624,95758, Vintage Park and South Sacramento. I work with first time home buyers, move up & down size buyers, luxury homes and investors too. I am a great community resource for Elk Grove as I have lived here since 2000, my girls went to school here and I have extensive experience volunteering as PTA and PTSO treasurer, fundraising and volunteering at the Elk Grove Food Bank. I believe in giving back to the community where I live and work and raised my family. Whether Buying or Selling, for the Perfect Fit, "Call a Tay-lor!" LaWanna is a native Californian and a long-time resident of Placer and Sacramento Counties. Real estate investment was the family business she was born into; and throughout her life, business has played an integral part, from the operation of apartment and hotel rentals, restaurants, a Greyhound/Western Union Agency and convenience store before becoming licensed to sell real estate in 2004. In real estate or life, communication is key; and therefore, she will be in contact with you either by phone, text, email, in person, whatever your preference. One of the areas often overlooked is that of the educator. She takes particular time in explaining to clients each part of the contract and escrow process, providing transparency in all areas, with the ultimate goal of providing the legal protection expected when securing the services of a real estate professional. LaWanna’s mission is to be of service; desire is that your experience of buying or selling property is seamless and stress-free. Whether Buying or Selling, For the Perfect Fit, Call a Tay-lor! Additionally, here at Hybrid Brokers Realty, we have a solid commitment to our local community and giving back to our home town, through our “Give Where You Live” movement. Part of our profits are committed to this cause because we believe that the best place to give is the place where we work, live, and play. When you work with us, you will be a part of the movement, bettering your home and ours! 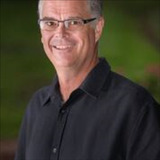 Ray Henson has been in the real estate industry for over six years, during which he has achieved numerous designations including Graduate Realtor Institute and ePro. His soft spoken yet hard working demeanor are reflected in the diligent care he shows each client whether buying or selling. 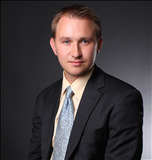 Ray first began his real estate career with an interest in investing and securing property for future generations. To further his knowledge, Ray became a member of the American Association of Individual Investors. Since then he has expanded both his knowledge and expertise into many other branches, such as Distressed and Residential Sale properties. He is an avid runner, frequently participating in 10k’s, half marathons and is an active member of the training group, Running for Rhett. Ray’s dedication is ever present. 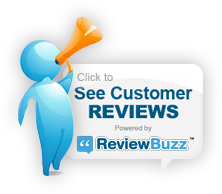 Look no further for a Realtor who will listen to his client’s needs and drive the perfect sale. I enjoy helping my clients with their residential real estate transactions in the Elk Grove and Sacramento areas. If you need help as a first time home buyer, move up home buyer or as a home seller, I can help. If you are considering selling real estate or have other real estate goals, feel free to send me an email or give me a call. I would be glad to meet your real estate needs by answering your questions, doing a free comparative market analysis or helping you find the perfect home. Thank you!